Before Combat Lini casts goodberry at the start of each day. 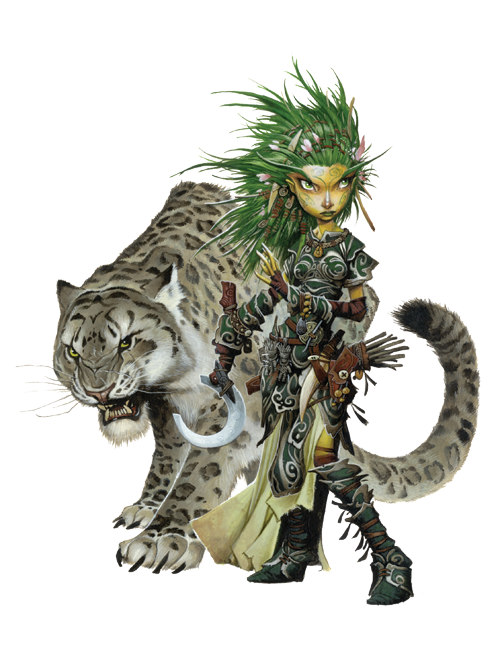 Before combat, she casts barkskin and stoneskin on herself and animal growth, bull's strength, and greater magic fang on her animal companion. If she's joined by several allies, Lini casts mass bull's strength to improve their attacks. During Combat Lini attempts to stay out of melee, sending her animal companion to fight while she uses her magic. Without barkskin, Lini's statistics are AC 19, touch 14, flat-footed 18.